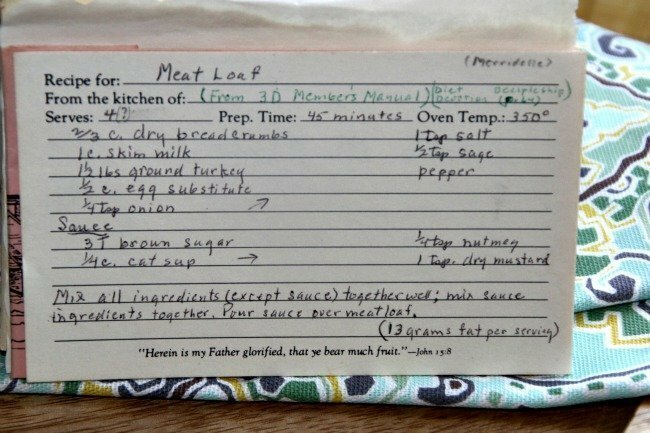 Front of the Meat Loaf recipe card with a notation that the recipe is from page 64 one of the Member’s Manual: Diet, Discipline & Disciplineship (3D) cookbooks. There is also a notation in the upper right hand corner of (Merridelle). We have lots of recipes on the site that may be of interest to you. 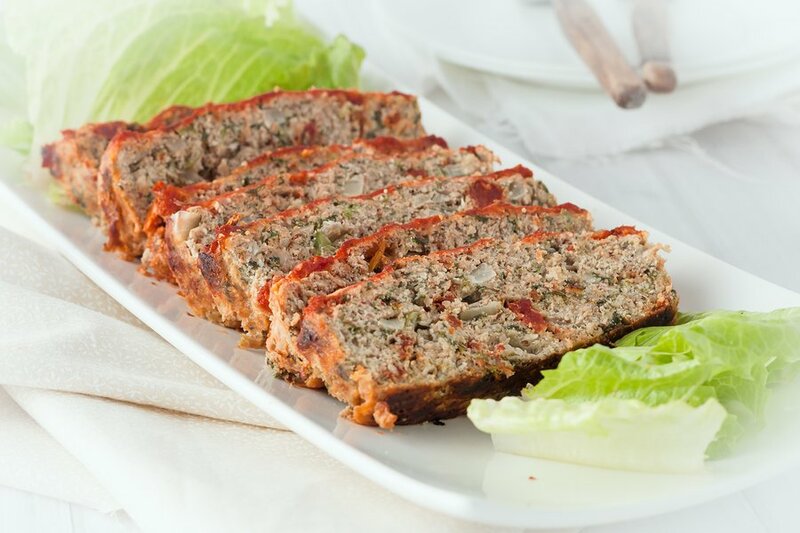 Use the links below to view other recipes similar to this Meat Loaf recipe. 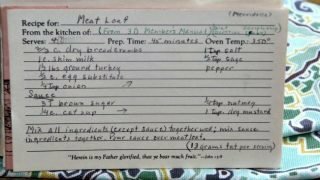 If you make this Meat Loaf recipe, please share your photos and comments below!